We all have different nutritional needs and preferences. Some of us have been unable to enjoy many of the Herbalife shakes because of our own specific dietary restrictions and allergies. 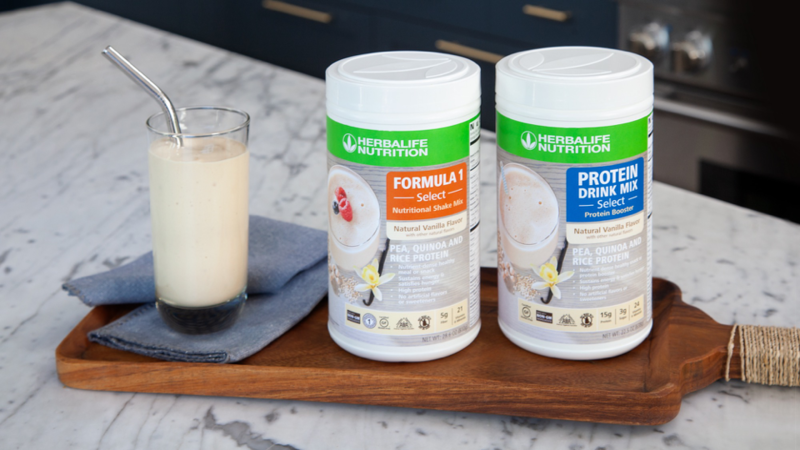 Herbalife Nutrition has just announced two new products that many of you can now enjoy because of their carefully selected wholesome, non-GM ingredients. Introducing Formula 1 Select and Protein Drink Mix Select! Nourish your body with delicious essential nutrition. For those with dairy and soy allergies, these products have been formulated with high quality plant-based proteins combining an easily digestible blend of quinoa, yellow pea, and brown rice proteins. They are also formulated with no gluten, are vegetarian and Kosher certified, and are suitable for diabetics, and contain no artificial flavors, sweeteners, or added colors. These new Select products support healthy weight management and provide a nutritious meal. You now have an delicious alternative choice to satisfy your unique preferences and evolving dietary needs. The 21st century requires an active lifestyle. You need to do everything these days-focusing on your career, your social life, self-improvement, your physical fitness, skill development-and putting it all together presents a considerable challenge. With all the tasks that have to be finished in your busy schedule, integrating Herbalife shakes into your day can be an effective way to streamline your time management. Each shake is the equivalent of a set meal, ensuring that you don’t have to slow down to get the nutrition you need. 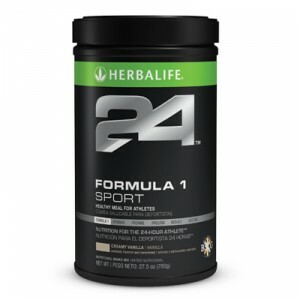 Herbalife’s trademark shake, Formula 1, is an ideal meal substitute. It contains 21 essential vitamins and minerals, as well as protein and fiber, keeping your body clean and healthy, able to keep performing at the optimal levels that you demand. That said, drinking a shake for a meal all day every day is bound to get old quick. Not to worry-we’re here to help. Let’s take a look at some of the best ways to spice up Herbalife’s Formula 1. The first suggestion is also the most simple. Formula 1 comes in 11 different flavors, already introducing variety to your daily shakes. Love vanilla, as a true connoisseur of flavor should? 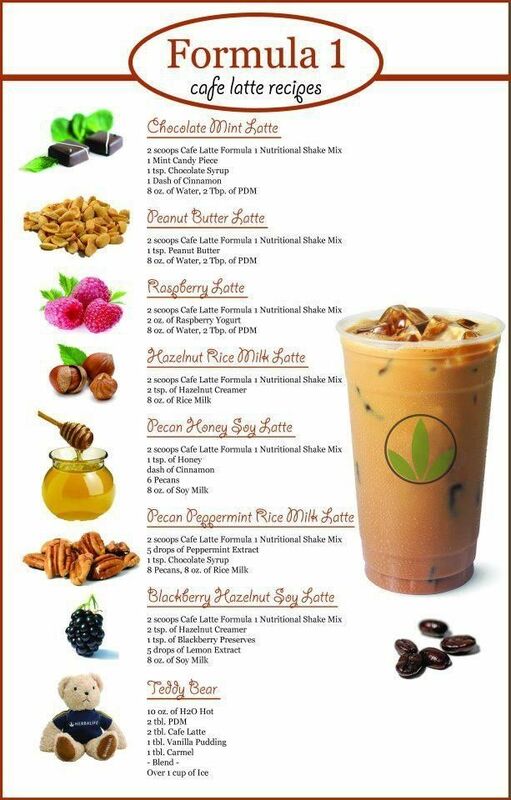 Herbalife offers three different kinds- French Vanilla, for those who prefer a fuller, more floral taste; Vanilla (Allergen-Free), for the more sensitive types; and Kosher Vanilla, for the most sensitive types. Chocolate lovers can choose from Dutch Chocolate for that rich flavor, or if you want to chill, the soothing blend of Mint Chocolate calms the nerves and clears the mind. 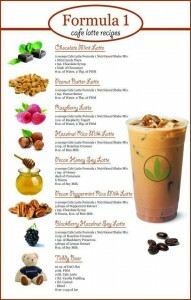 You can also try Café Latte for the same energy kick-and flavor-without the crippling caffeine addiction. And best of all, after getting caught in the rain, you can kick back and relax with a Piña Colada shake, if you like. Ice cream is truly a gift from the gods, but by their name, it isn’t good for you. Because the Formula 1 flavors are so diverse, they can be used for practically any flavor of the frozen treat. A good standby is the classic Cookies and Cream. Take two heaping scoops of Cookies and Cream Formula 1, mix it with 250 milliliters of soy milk, then stick it in the freezer for 10 minutes. If you close your eyes and expand your palate, it’ll taste as good-and make you feel as good-as real ice cream does. Try mixing different flavors together with different types of milk and find the right taste for you. You don’t have to drink Herbalife shakes. They’re in powder form, which means you can mix them into things and see where it goes. Put it in a bowl with the right ingredients, pop it in the oven, and you might find that you can enjoy delicious baked treats every single day. Take 3/4 cup of vanilla Formula 1 as your base, ½ cups canola oil, 1 ½ cups self-raising flour, 1 tsp baking powder, ½ skim milk, 1 cup rolled oats, 2 ripe bananas, 2 beaten eggs, and sweetener equal to ½ sugar. After preheating your oven to 180 °C, mix the milk, oats, bananas, and eggs in one bowl. Sift the flour and add the baking powder, Formula 1, and sweetener in another bowl. Put the two bowls together, making sure not to overmix, and place them in a muffin tin. Bake them for around 26 minutes, and voila, muffins for lunch. Don’t have an oven, or these recipes seem too time-consuming for you? Adapt them into pancakes! Everybody loves a good fat stack of pancakes with honey and margarine (or if you want to indulge, butter). These are just a few ways to make your Herbalife shake meals something to look forward to every time you eat them. Don’t be afraid to experiment with other recipes, like smoothies, bars, cakes, puddings, and pies. You won’t know how versatile the powder can be until you try. Happy eating! We found a great Herbalife coffee cake recipe today that only has five grams of carbs and only one gram of sugar. Herbalife has announced a modest price increase for Australia, effective April 15, and the HNN team has completed updating the websites for our members. 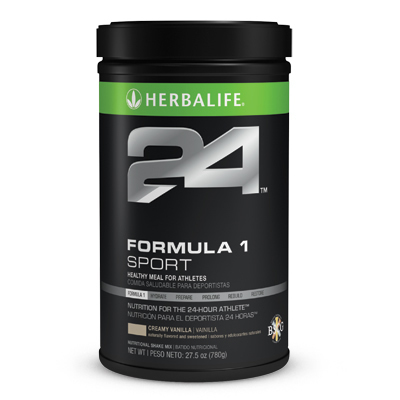 The first comprehensive performance nutrition line, Herbalife24 has finally arrived and the HNN team has added the product line to the HNN retail websites.